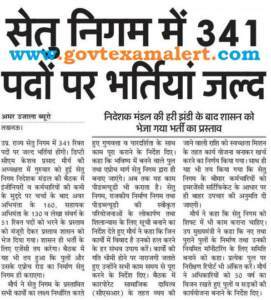 Age Limit for UP Setu Nigam Recruitment has been increased Now from 35 Years to 40 Years. Interviews has also scrapped in Group C jobs in UP Bridge Corporation. Read full news from image below…. 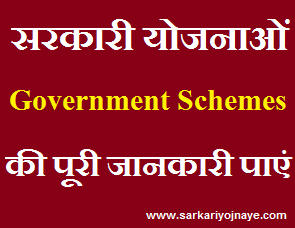 UP Rajya Setu Nigam Limited will make Recruitment on Technical & Non Technical Posts. There will be Recruitment on 341 Various Posts. Read Full News & Get Details from Image given below…. Age Limit : Maximum Age Limit can be 40 Years. Age Relaxation will be provided as per government Rules. Full Detail will available in Official Notification. Junior Engineer : Candidates having 3 Year Diploma in Relevant Stream can apply. Assistant Engineer : Candidates having Degree of BE/ B.Tech in Relevant Stream can apply. Account Cadre : Candidate should Graduation Degree in Commerce. In a Meeting of UPSBCL, Vacancies are announced. Proposal has been sent to Government, after getting approval from Cabinet process will start. Government will also decide regarding Agency for Recruitment. It is Expected that Recruitment Process may start in February/ March, 2018. Candidates are advised to Keep in touch with our website (www.govtexamalert.com) for Latest Updates regarding UPSBCL Recruitment 2018 for AE JE Posts. Bookmark this Page to get instant updates (Press CTRL+D). For any Query/ Assistance leave a Comment in the Box below. You can also leave a message on our Facebook Page (www.facebook.com/jobdisha) OR Leave a mail to disha@govtexamalert.com. hi…mam actually my trade is degree in mechenical engineering so i cant fill the form in uppcl. Therefore i want to know that up state bridge corporation ltd. Vacancy date. hi maam up state corporation ltd me kab tab AE ki vacancy ayegi?? actually my trade is MECHENICAL so i am not able to fill the form in UPPCL.